​Not yet a CRA member? 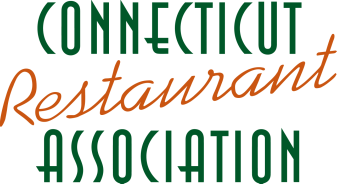 Restaurants who join the CRA between Feb 1 - 24 and participate in 2019 Dine Out Connecticut, may earn up to $100 credit on 2019 Annual Dues. ​Please enter participating restaurant info below. For restaurant groups with multiple locations, please list participating restaurants in spaces provided. For more than 4 restaurants, please check box below and the CRA will contact you for location details. I am a restaurant group with more than four locations. Participants may choose to make a tax deductible donation with registration or can opt to raise funds to reach donation commitment. I would like to make a tax deductible donation today. (Payment instructions on confirmation page) I will raise funds and pay later. ​Donations to benefit the Connecticut Hospitality Education Foundation (CHEF), a 501(c)(3) non-profit organization dedicated to the development of future restaurant industry leaders through educational scholarships and programs like ProStart, a two-year culinary and management program for high school students.